To work out which week of pregnancyyou're in, you need to remember when your last period was. The first day of your LMPis the first day of your pregnancy. You can also calculate your estimated due date using our due date calculator. 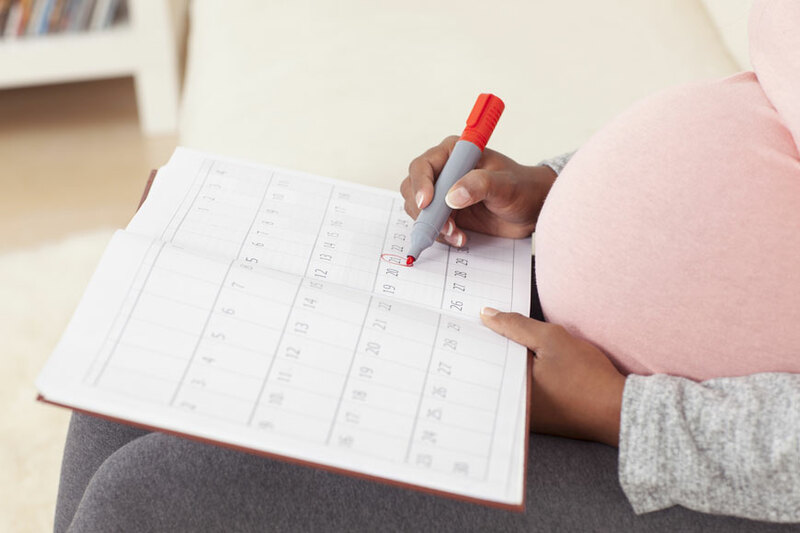 Some pregnant mums prefer to count their pregnancy weeks from the day they were likely to be ovulating of the month in which they became pregnant. This gives you an estimated date of conception, which is usually 2 weeks after the first day of your LMP. Meaning, you will be two weeks further along in your pregnancy if it's calculated according to your LMP rather than your estimated date of conception. This explains why some health professionals would tell you you've been pregnant for about two weeks longer than you really have been. What if you don't know the date of your last period? Or you have irregular periods? Calculating due dates usually works better with regular periods of 28 days. Because, if your cycle varies in length, you might lose track of the first day of your LMP, and even if you recall it, counting from the first day of your LMP may not give you a date you can rely on. Mums-to-be with irregular periods can usually go for something called a dating scan, which is an ultrasound scan done early in your pregnancy, and can help give you a more accurate due date. In this scan, the sonographer would measure your baby from head to toe, which is his crown rump length (CRL), and give you a more accurate idea of how far along your pregnancy is. The dating scan isn’t usually offered if you have regular periods. How accurate are due dates? Only 5% of children are born exactly on their estimated due date, while most babies arrive between 37 weeks and 42 weeks of pregnancy, usually within a week before or after your estimated due date. Hence, most pregnant mums are unlikely to give birth on their estimated due date.